The biography of Aram Khachaturian, greatest Armenian composer of the 20th century, is very interesting. He was born in 1903, in the family of a bookbinder. His parents were never involved in music, but they were gifted in this regard, and songs and dances were always heard in their house. The promising composer knew a lot of melodies and loved to sing still from childhood, accompanying himself on folk percussion instruments. Up to the age of 19, he not only did not study music, but had no idea of the symphonic and operatic music. In 1921, together with a group of young Armenians A. Khachaturian left for Moscow and entered the preparatory course at Moscow University and then the Faculty of Physics and Mathematics. Only in 1922, 19-year-old Khachaturian entered Gnesinskiy School of Music, where he got support and inspiration. He began learning to play the cello. 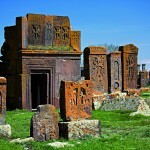 Michael Gnesin drew attention to the gifted Khachaturyan and helped him. For the first time in his life, Khachaturian went to a symphony concert in Moscow. Works by Beethoven and Rachmaninoff shocked and inspired him. ”Dance for Violin and Forte-Piano” became the first published work of the composer. ”Like all violinists, I am proud that the first serious work of Khachaturian, ”Dance”, was written for the violin. “The composer feels the violin like a master – a virtuoso”, said David Oistrakh about Khachaturian. In 1929, Khachaturian was admitted to the symphony class at the Moscow Conservatory. Sergey Prokofiev, a famous Russian composer, had a great influence on him. In 1934, Khachaturian excellently graduated from the Conservatory and was enrolled in doctorate school. His name is engraved in gold letters on a marble slab and marks the entrance to the Small Hall of the Moscow Conservatory. In 1937, his “’Concert for Violin and Orchestra” was performed for the first time. These are all the pre-war works of Khachaturian, which brought him worldwide fame. Among his famous works of the pre-war period was his monumental Second Symphony. 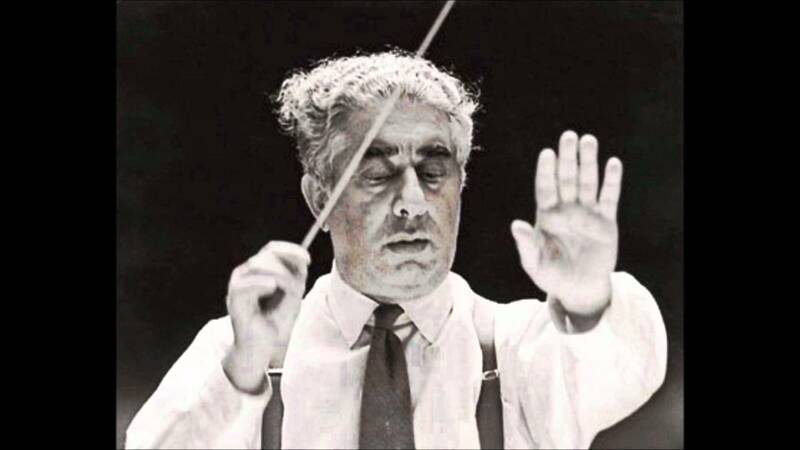 During the Second World War, Khachaturian worked in the All-Union Radio, wrote a patriotic songs and marches. After the war, he returned to classical music and created new masterpieces of world scale. In 1939, Khachaturyan wrote the first Armenian ballet “Happiness”. But the shortcomings of the libretto of the ballet forced him to rewrite most of the music, and thus he created new ballet “Gayane”. 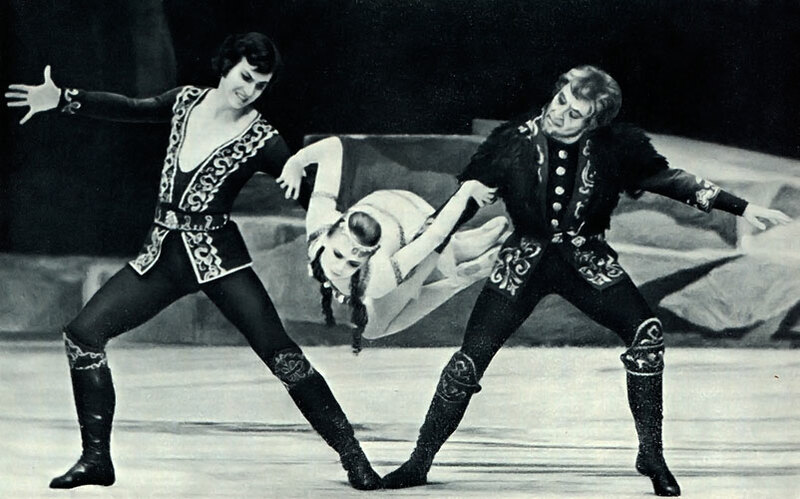 The premiere of the ballet took place in the difficult years of World War II, in the winter (December 3, 1942). In 1943, for this ballet Khachaturian was awarded the Stalin prize of the first degree – one of the highest awards of the time in culture. 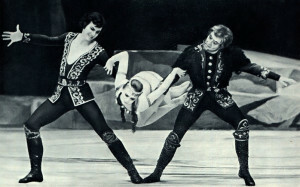 In a very short period after the premiere of the ballet, it received worldwide fame. Ballet “Spartacus” was the greatest work of Khachaturian after the war. Ballet score was completed in 1945, and in December 1956, took place its premiere. Since then this ballet has become “frequent visitor” of the best scenes of the world. Simultaneously, Aram Khachaturian worked in theater and film. His music for “Masquerade” of Lermontov received great recognition. Melodies of many popular songs written by him are worthy of attention. 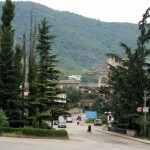 More than 50 published vocal works of different generations… Among them are patriotic, children and youth songs, as well as collection of folk and popular songs, love songs and concert arias. 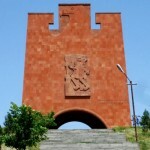 Works of Khachaturyan for the movies were different, but also celebrated. “Zangezour”, “Pepo”, “Vladimir Ilich Lenin”, “The Russian Problem”, “Secret Mission”, “They have a homeland”, “Admiral Ushakov”, “Giordano Bruno”, “Othello”, “The Battle of Stalingrad” – these are only the names of several films for which Khachaturian wrote the music. Since 1950, Khachaturian conducted orchestras and has toured many countries around the world. At the same time, he was invited to teach at the Moscow Conservatory and in Gnesinskiy School. In 1978, Aram Khachaturian died.